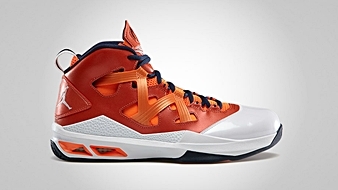 The seventh colorway of the Jordan Melo M9 will not be an exclusive kick for the Syracuse Orange as Jordan Brand lined up the shoe for the public for this month. Carmelo Anthony’s seventh signature kicks will be released in Team Orange/White – Total Orange – Midnight Navy colorway, which will be dubbed as the “Syracuse” edition of the kick. 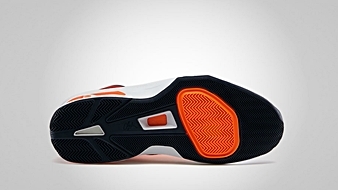 The silhouette, which was previously projected as a PE for the Orange’s campaign in the 2013 NCAA National Tournament, features a strong combination of team orange and strong navy that produces an eye-catching look. Watch out for this kick and make sure to grab your own pair once it hit the market!